Having a knowledge of home styles and design elements can help you make wise choices when it comes time to remodel, add on or just give your own home some curb appeal. Understanding your home’s style and the key design element can give you a greater appreciation of its design and construction. Accentuating the key design features of your home’s style is a great starting point for any home improvement project. 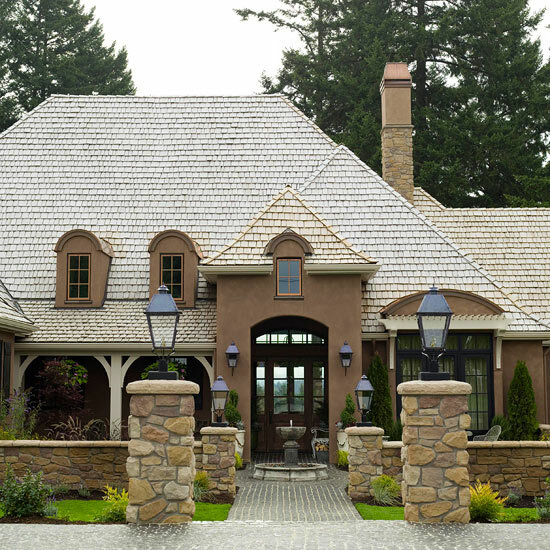 There are literally hundreds of styles and variations, when it comes to home designs, but let’s look at the top 10: Cape Cod, French Country, Colonial, Victorian, Tudor, Craftsman, Cottage, Mediterranean, Ranch and Contemporary. If you want to study home styles and design features deeper, I recommend you check out these reference guides: Get Your House Right: Architectural Elements to Use and Avoid and A Field Guide to American Houses, both available from Amazon. With roots dating back to 1675, Cape Cod was a popular style for homes built in the 1930s, but has been around since 1675. Typically these are one story homes, but sometimes they have 1½ stories. 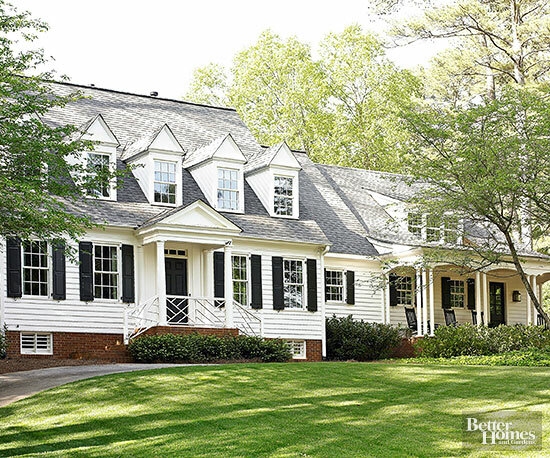 The Cape Cod style features a steep roofline, wood siding, multi-pane windows and hardwood floors. Original Cape Cod homes were fairly small, and they often have dormer windows for added space, light, and ventilation. If you need to add space to a Cape Cod, an addition can go on the side or back depending on the site. Many original Cape Cod homes did not have a finished space upstairs, so you may find that area is incomplete and can easily be changed to fit your needs. French Country homes in the United States date back to the 18th century when France occupied much of eastern North America along principal waterways, such as the St. Lawrence, Great Lakes, and Mississippi valleys. The French building style fell out of favor around the start of the 1800s, except in New Orleans and other region where it remained popular for another 50 years. Country French homes are often one story with many narrow windows and paired shutters, steeply pitched roofs, stucco walls and a half-timbered frame. 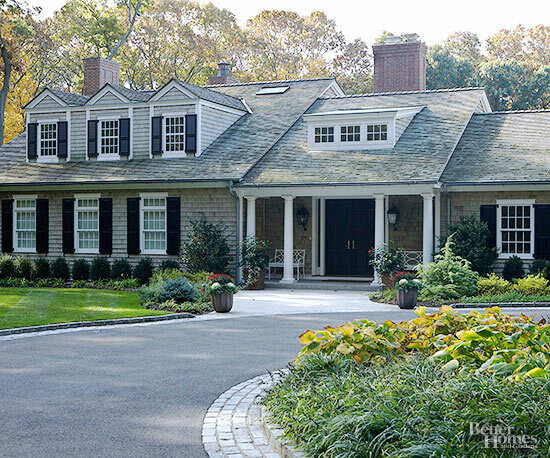 The Colonial style is one of the most popular styles in the United States. 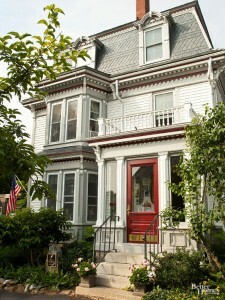 Colonial homes usually have two or three stories, fireplaces and brick or wood facades. The classic Colonial house floor plan has the kitchen and family room on the first floor and the bedrooms on the second floor. Colonials are easy to add on to at the side or the back. A brick facade may be difficult to match, but a builder or designer can help you find complementary siding materials to make a smooth transition. The era of Victorian building lasted from about 1860 to 1900. Homes of the Victorian Era were romantic, distinctive and abundant with detail, from the fabrics and patterns to the colors and textures. Contemporary Victorian house design retains the traditional characteristics but uses more modern fabrics and colors. Traditional and contemporary can be combined nicely in these houses. Victorian homes often feature a steeply pitched roof, a dominant front-facing gable, patterned shingles, cutaway bay windows and an asymmetrical facade with a partial or full-width front porch. The Tudor houses we see today are modern-day re-inventions that are loosely based on a variety of late Medieval English prototypes. Common features include a steeply pitched roof, prominent cross gables, decorative half-timbering and tall, narrow windows with small windowpanes. The Craftsman bungalow was a popular house style between 1905 and the 1930s, and it’s making a comeback today. This style is distinguished by a large amount of interior woodwork, such as built-in shelving and seating. Craftsman-style homes often have low-pitched roofs with wide eave overhangs, exposed roof rafters, decorative beams or braces under gables and porches framed by tapered square columns. 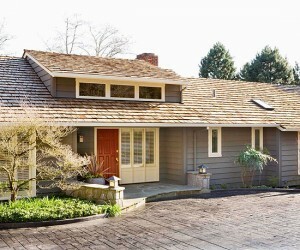 Craftsman bungalows often have unfinished but usable space in the attic, which can give you area for room additions. Medieval styles of the English countryside inspired American architects to design the charming and cozy cottage-style houses we know today. The style became especially popular in the United States during the 1920s and 1930s. 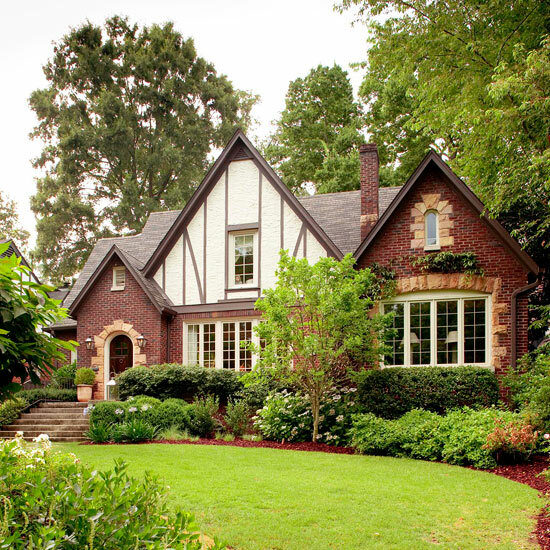 Common features include a warm, storybook character, steep roof pitches and cross gables, arched doors, casement windows with small panes and brick, stone, or stucco siding. Mediterranean architectural styles, Spanish Colonial Revival, Spanish Farmhouse or Spanish Eclectic, were popular in Southern California during the 1920s and 1930s. 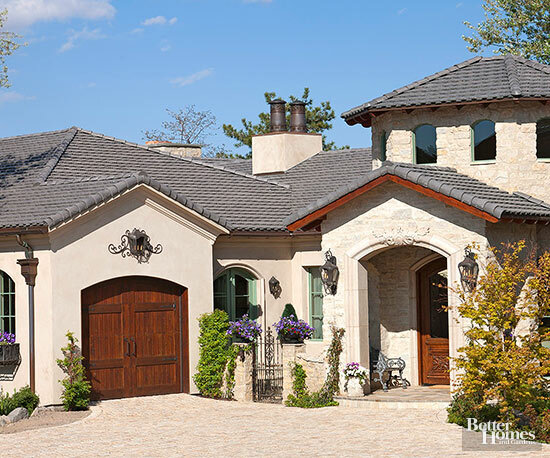 Spanish-style homes often feature a low-pitched red tile roof, arches, grillwork, and a stucco or adobe exterior. The typical U-shape floor plan is oriented around a central courtyard and fountain, making the garden an extension of the living space. Rooms open to the courtyard, promoting cooling cross-ventilation and the flow of fresh air. Traditional ranch-style homes have simple floor plans, attached garages and efficient living spaces. The style dates back to 1932 and is still being built today. 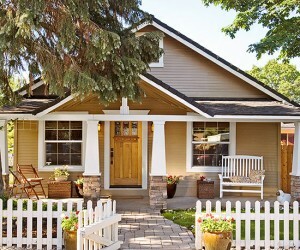 Although they may appear plain on the outside and are sometimes categorized as cookie-cutter houses, ranch-style homes offer great potential for additions. Bi-level and tri-level homes evolved from the ranch style and were built during the same era. They’re great houses to upgrade with additions. 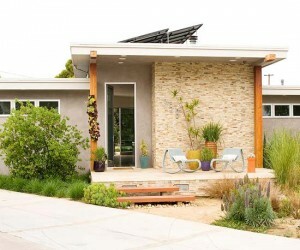 Referring specifically to architect-designed homes built from about 1950 to 1970, the term “contemporary” has come to describe a wide range of houses built in recent decades that concentrate on simple forms and geometric lines. Many contemporary homes feature lots of glass, open floor plans, and inventive designs. Void of elaborate ornamentation and unnecessary detail, drama on the flat-face exteriors of contemporary homes often comes from a dynamic mix of contrasting materials and textures, exposed roof beams, and flat or low-pitched roofs. If you have questions about updating a specific home style or finding your dream home in a particular style, I can help.